With the potential merger of Disney and 20th Century Fox lingering in the background, many fans have wondered what the studio will be doing with their Marvel properties before their potential return to the House of Ideas. The Hollywood Reporter has several revelations in a new report that indicates that not only is the studio not slowing down on their Marvel properties, but they’re developing more projects now than they ever have in the past. 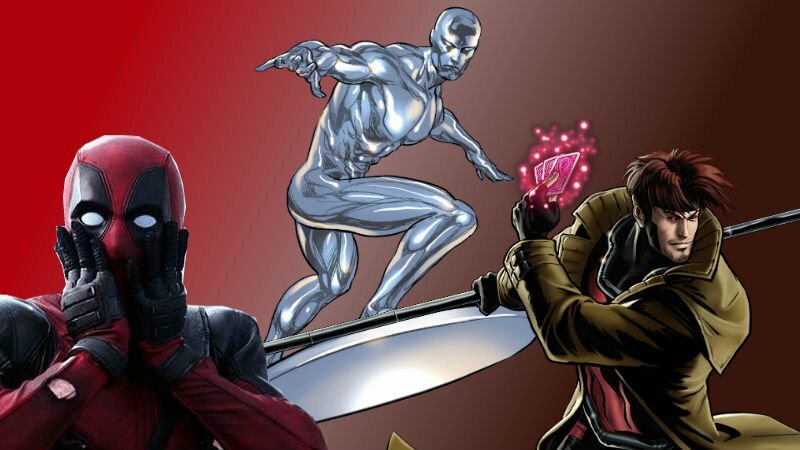 First up, to pair it up with Noah Hawley’s (Fargo, Legion) Doctor Doom movie, the outlet reports that Fox is developing a Silver Surfer stand-alone movie which is being written by none other than Eisner award-winning writer Brian K. Vaughan. Little else is known about the project at this point. The Silver Surfer previously made his big screen debut in the Fantastic Four sequel released in 2007. There’s also the matter of the countless X-Men films that are in development. THR notes that while Fox is set to release two X-Men movies this year, they plan on releasing three in 2019 and three in 2020. Among those are X-Force, the Deadpool spin-off movie directed by Drew Goddard (The Cabin in the Woods), which begins shooting this October, and the recently-delayed The New Mutants. The outlet reports that the reason for the delay in New Mutants is a round of additional photography that is being prepped which will add a new character. Who that character will be remains to be seen. The long in-development Gambit movie starring Channing Tatum has also been greenlit with its previously announced June 7, 2019 release date. Fox has four Untitled Fox/Marvel films on their schedule, including November 22, 2019, March 13, 2020, June 26, 2020, and October 2, 2020. Which of these projects will take these release dates is unknown. Though fans may think these in-development films may not even see the light of day after the merger, an insider tells THR: “There’s been zero slowdown on that front given Disney.” Fans should also prepare for the Untitled Avengers 4 to potentially not address the X-Men at all in the event that the merger doesn’t finalize by next year, or if Comcast is successful in a counter bid.